Does my headline have you slightly confused? I’m talking about gifting your Valentine a pair of socks from the amazing company called Sock It To Me! If you have someone to buy for who likes to shy away from traditional gifts, a pair of their socks are the perfect idea. Or maybe you want to purchase something for your mom, dad, teacher or friend. Sock It To Me has styles for both men and women that are absolutely perfect for Valentine gifting. I’m always cold. Like, always. So a warm pair of socks while I cozy up on the couch to read is a necessity. 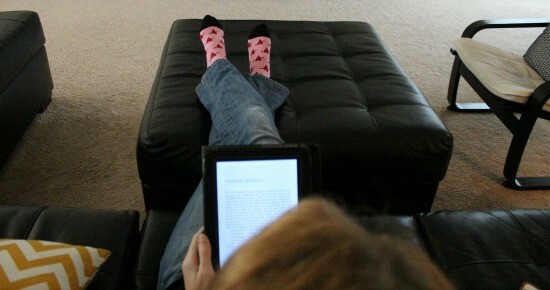 A cute pair of socks while I cozy up on the couch to read just makes it even that much better. Take a look. Aren’t these cute?! 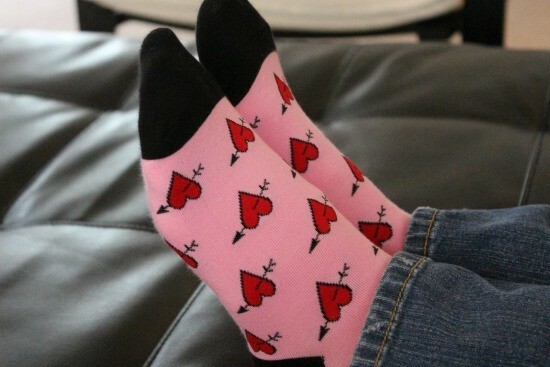 These are a pair of their knee high socks – appropriately called ‘Hearts’. They are so warm and so cozy and I am never, ever, ever, never, ever taking them off. Love letters don’t typically come in envelopes anymore – it’s way quicker to shoot a text – but we still fantasize about the days when star-crossed lovers waited impatiently by their mailboxes. 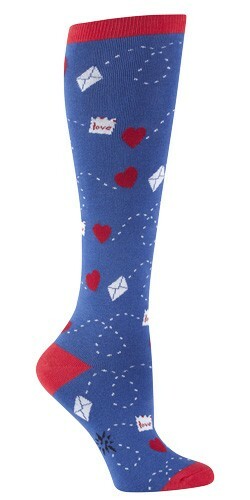 We would LOVE to open up our mailbox to find a pair of these Mail Love socks! As soon as my daughter saw these she said “Those are mine.” 🙂 Can you imagine opening up your mailbox and finding a pair of socks – these socks – from your Valentine? How creative!! They have so many more styles like these Cupid Bullseye ones I’m holding above. I also fell in love with these Love Bunny socks. “Hey, would you wear these for me Aaron?” He said no. So, how about you Sock It To your Valentine on the 14th? Head on over to Sock It To Me and check out their entire selection of socks. They also an active (and fun!) Facebook community.